MTConnect Solutions - Shop Floor Automations Inc.
MTConnect is an open, royalty-free, universal factory floor communication standard that is designed specifically for the shop floor environment. The protocol enables efficient transfer of data between devices (such as CNCs) & manufacturing shop floor software applications. Some users compare it to the “Bluetooth” technology on our smartphones & daily electronic devices. Achieve an open & extensible channel of communication. Plug-and-play interconnectivity between devices, equipment, & systems. MTConnect allows sources to exchange & understand each other’s data – it’s like speaking a common language! If you want propriety software & solutions, MTConnect is not the right solution. This new standard will bridge your factory shop floor & link you to the Industrial Internet of Things (IIoT). Think of your equipment. Can it connect, give you real-time data & speak to each other? While some equipment have limitations on data you can grab from it, the protocol allows information to quickly be displayed on dashboards, smartphones, ERP/MRP systems, & other equipment. Improve shop floor communications & manufacturing productivity on your shop floor without expensive integration, proprietary hardware, custom software, or outrageous licensing costs. 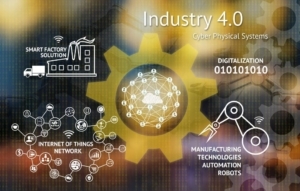 Shop Floor Automations is on the MTConnect Institute Roster via the Technical Advisory Group (TAG). Let’s start the conversation! As a member of TAG, we are part of the development and review of standards for the protocol. Many machine tool builders listed below are part of the ongoing development and support for this standard. We strongly recommend you purchase machines with this standard for future automation support. This standardized solution has the capability to work with many eligible machines – even monitoring multiple factories in real-time! Check out notes from past TAG meetings. MtConnect for Citizen – SFA can provide and install an adapter for your M7/M700 controls. MTConnect for Doosan – SFA can provide and install the adapter for these machines/controls. MTConnect for Fanuc – Also, ask us about Fanuc FOCAS! MTConnect for Haas – The controller must have Ethernet and have the latest firmware of 16.05B for mills and L09.06A for lathes. SFA can provide and install the adapter on your controller. MTConnect for Makino – An adapter is available on Pro5, ProF, ProP and Pro3 controllers that are based on Fanuc FS16iMA or newer. MTConnect for Mazak – Mazak is actively supporting the protocol as a way to provide complete manufacturing solutions. This includes having more than 200 of their machines prepped to accept the adapter before they are shipped, as well as adding additional adapters for existing Mazak equipment in the field. MTConnect for Mitsubishi machines – SFA can provide and install the adapter for your controller. 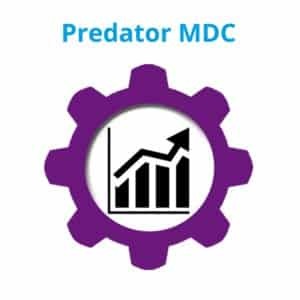 MTConnect for Siemens – SFA can provide and install the adapter for your controller, assuming you have HMI available on your controller. There are several requirements – additional OA licensing may be required. MTConnect for DMG Mori Seki via their standard communication protocol. As of June 1st, 2013, all new DMG / MORI SEIKI machines equipped with MAPPS control come installed with a V1.1 compliant Adapter. We provide a list of other compatible machine tool builders on our Compatibility page. 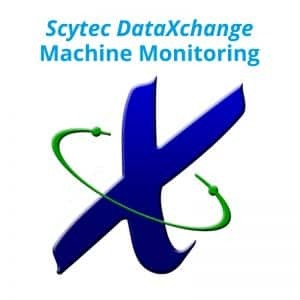 Our Machine Monitoring products (Predator Machine Data Collection & Scytec’s DataXchange) are both protocol compatible, for which we provide specific adapters for legacy machines. This standardized solution has the capability to work with many enabled machines — even monitoring multiple factories in real-time! MTConnect-B2MML is a companion specification to ensure interoperability and consistency between the protocol’s specifications and the B2MML implementation of ISA95. MTConnect-OPC UA is a set of companion specifications to ensure interoperability and consistency between protocol specifications and the OPC Unified Architecture (UA) specifications. Ask SFA, a MFG integrator since 1998, about the best solutions for legacy machine upgrades. We can help with machine data collection for any make/age/model. We also assist manufacturers with OEE increases, IIoT solutions, and using protocols such as OPC UA, and Fanuc FOCAS.